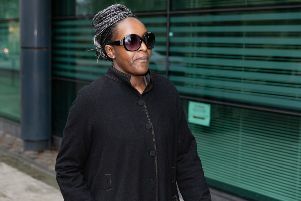 Peterborough MP Fiona Onasanya was back in court today (Wednesday) after a former employee took her to tribunal over claims she was discriminated against. Jan Goodenough worked for Ms Onasanya as a case worker in 2017 shortly after she was elected as MP for the city. But Ms Goodenough says she was not treated fairly by Ms Onasanya because of her disability. She suffers from arthritis, IBS and chronic fatigue syndrome. Today a tribunal started at Cambridge County Court, where Ms Goodenough said there was a disagreement about access to a lift at the constituency office at the Eco Innovation Centre in City Road, and close access to a toilet. Ms Goodenough says promises over the access were not kept. Robert Grayston, the office manager for Ms Onasanya, gave evidence this morning. The court was told that there were no ladies toilets on the floor where Ms Goodenough was working, but there were on the floor above and below. Ms Goodenough, who is representing herself, said ‘it would take several minutes’ for her to reach the toilets using the lift. The court was also told the lift was not working between October and the beginning of November. The case is scheduled to finish on Friday, although Judge Michael Ord said there was a chance it could run into Monday. In December Ms Onasanya was convicted of perverting the course of justice, and in January she was sentenced to three months in prison. Her appeal was rejected at a hearing at the Royal Courts of Justice after her release. However, on social media Ms Onasanya has continued to say she is innocent, and has said she is continuing to fight to clear her name. 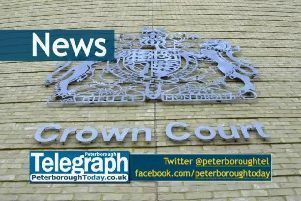 A recall petition, which would see the former Labour MP lose her seat if 10 per cent of registered voters in the Peterborough constituency sign it, is currently taking place. The petition closes at the beginning of May.